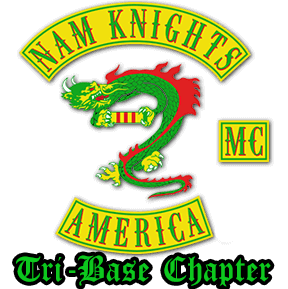 The mission of the Nam Knights of America Motorcycle Club, Tri-Base Chapter is to honor the memory of American Veterans and Police Officers who have lost their lives in the line of duty, to assist Veterans and Police Officers in their time of need, and to promote community awareness through sponsorship and participation in various community and fundraising events. By donating, you are assisting us in our mission. Your financial support allows us to keep doing what we do. All donations received through our website and local fundraisers benefit local military, law enforcement, and their families in their time of need. Veterans United Military Memorial Museum Inc.
To Make a Donation, simply click the "Give Now" button below. You will be redirected a secure PayPal page where you can Make a Donation using either your PayPal account or credit card. Thank you in advanced for helping us support our Veterans and fellow Law Enforcement personnel!